This bouquet full of roses and carnations will make someone's day so why not send today? 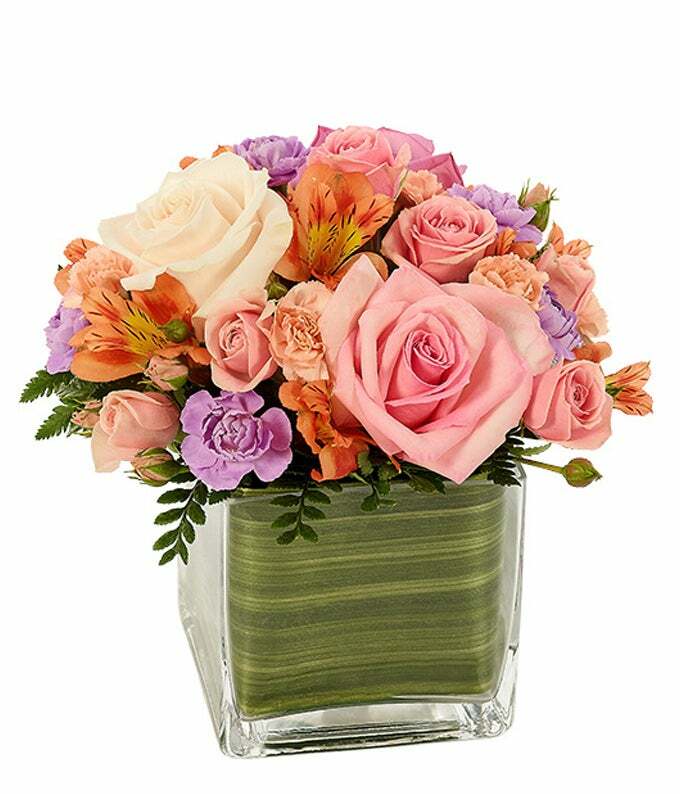 They'll love the pastel colors of the flowers and the glass vase that is lined with Aspidistra for a beautiful touch. Arrangement Height 7", Length 7"